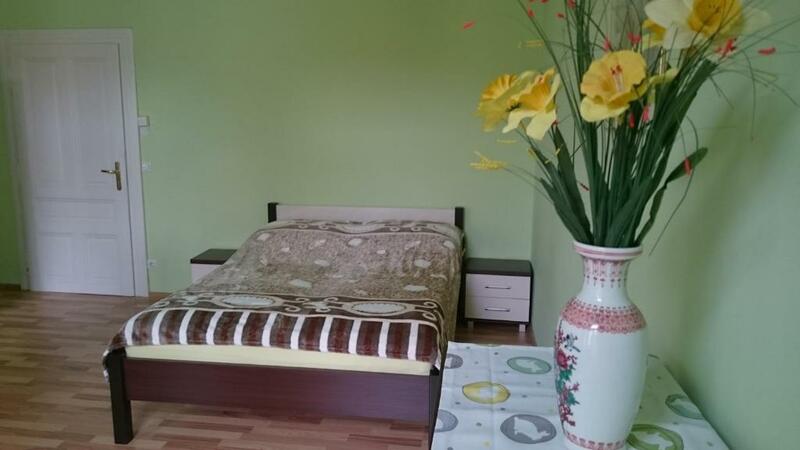 Reasonable location, about 10 minutes walk from the nearest metro station. 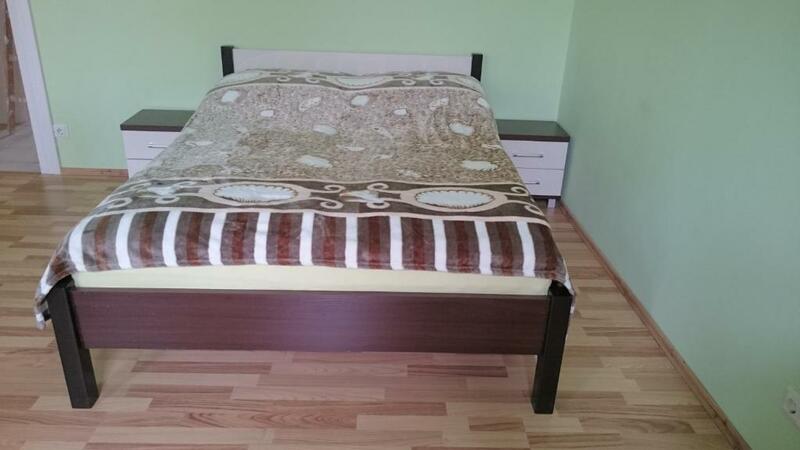 The apartment has decent amenities with a comfortable bed and plenty of space. The house was quite clean and host was very helpful and cooperative. The only recommendation is to put exhaust fan in toilet as exhaust fan was not working and it creates uneasy for next people to use washroom. Rest all was good. Excellent apartments for their price. Not too luxury, but everything is just fine. Our hosts were very attentive and informative. Very close to so many 'dog parks' which was convenient with our little schnauzer. About 10 mins wander to the nearest station, and various convent tram/ bus stops nearby. Many various food establishments nearby. Good location for exploring Vienna. Very welcoming and helpful hosts. All the facilities needed, clean and in working order. Thanks everything was perfect to me! 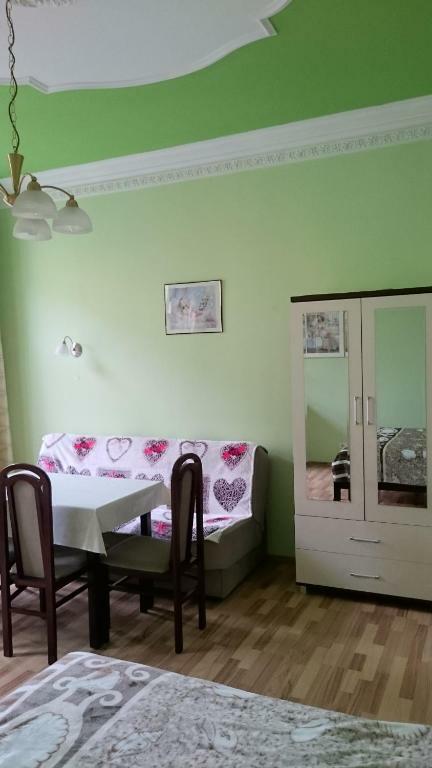 I suggest to everyone to visit Anna Z Apartments! The Apertment so close the City. You can easily arrive by U4 subway. The Owners were to kind. 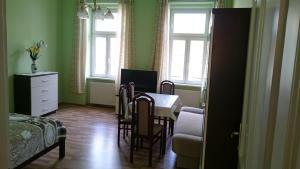 Lock in a great price for Apartament Anna Z. – rated 9 by recent guests! 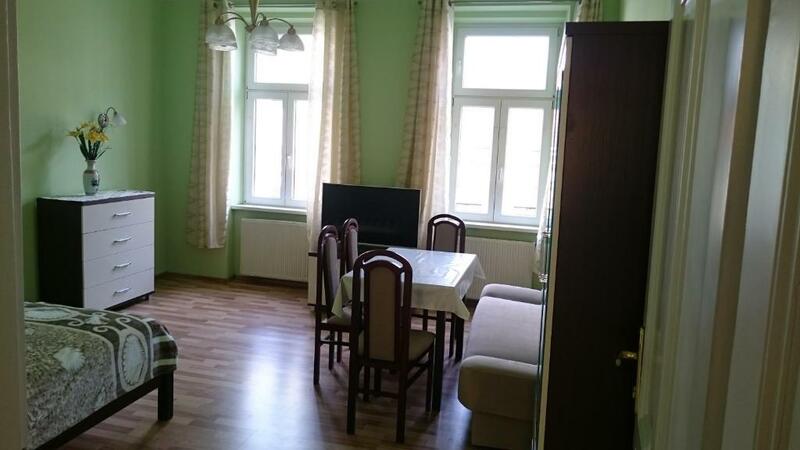 Located in Vienna, this apartment is 0.6 mi from Raimund Theater. The unit is 1.4 mi from Wiener Stadthalle. There is a dining area and a kitchen complete with a dishwasher and an oven. Towels and bed linen are featured in this apartment. A car can be parked on the street, near the house. 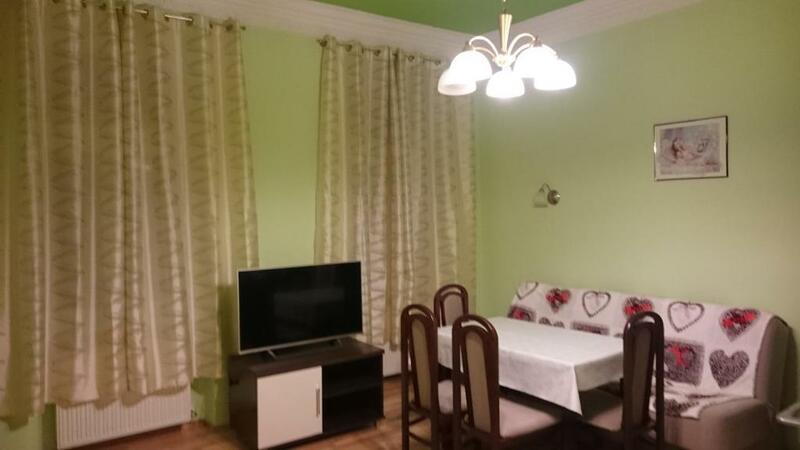 Various supermarkets, restaurants and coffee shops can be find close to the property. The metro line U4, as well as tram lines 6 and 18 and bus line 59A are 1,000 feet away. Schönbrunn Palace is 1.4 mi from Apartament Anna Z., while Kunsthistorisches Museum is 1.7 mi from the property. Vienna International Airport is 11 mi away. When would you like to stay at Apartament Anna Z.? This apartment has a dishwasher, kitchen and kitchenware. W moim apartamencie poczujesz sie jak we wlasnym domu !!!!! 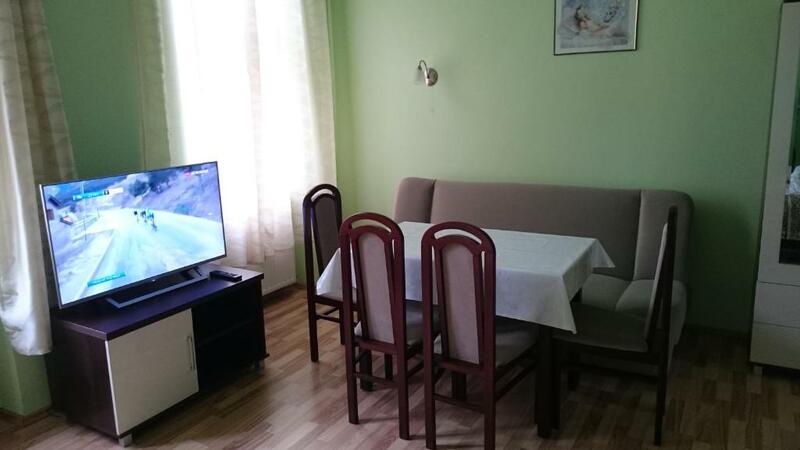 Od 30 lat mieszkamy z zona w Wiedniu a od 10 lat wynajmujemy apartamenty w naszej kamienicy. 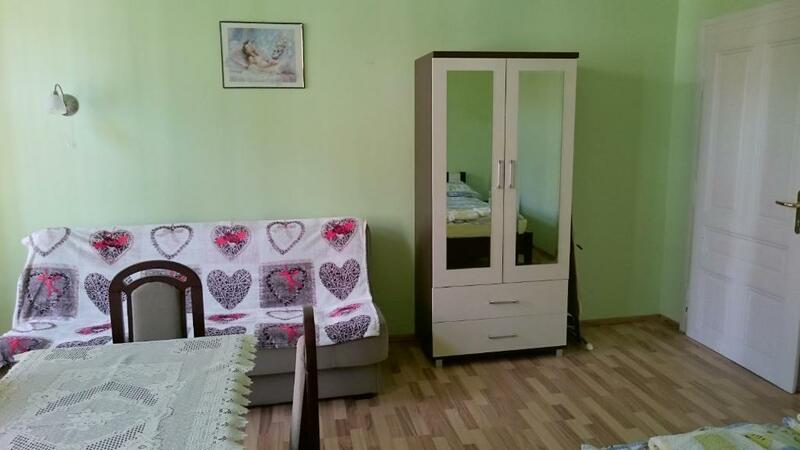 Nasz apartament znajduje sie w dwunastej dzielnicy Wiednia (Meidling) 15 minut od scislego centrum. Bliskosc srodkow komunikacji miejskiej (tramwaje numer 6 i 18 oraz autobus 59A i linia metra U4-bezposredni dojazd do centrum umozliwia latwe poruszanie sie po miescie. W poblizu znajduja sie sklepy spozywcze Billa, Eurospar restauracje,kawiarnie Cavalio, Uno Momento, Cafeteria Restaurant Piestinger, Schnitzelhaus, Gastchaus Maria. Park(plac zabaw) dla dzieci pod ziemia ktorego znajduja sie garaze (Volksgaraze Steinbauerpark). Ulica handlowa Meidlinger Hauptstrasse oraz najwazniejsze w tej dzielnicy Palac Schonbrunn. Okolica jest bardzo spokojna i bezpieczna. House Rules Apartament Anna Z. takes special requests – add in the next step! Please inform Apartament Anna Z. of your expected arrival time in advance. You can use the Special Requests box when booking, or contact the property directly using the contact details in your confirmation. 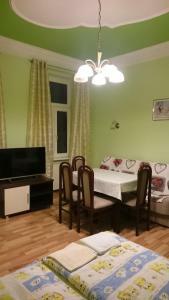 See all guest reviews for Apartament Anna Z. 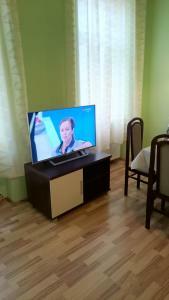 Newest Reviews for Apartament Anna Z. Toilet exhaust fan shud have been installed. The hosts speak no English at all, and they only accept cash payment. This was a bit inconvenient for me as it ended up taking about 1.5 hours to check in: Arriving at the apartment, spending about 20 minutes trying to communicate with the host, leaving to get over 300 Euros from an ATM, and then coming back for about 30 more minutes of paperwork before I was finally checked in. Just note that the parking is expensive street parking through the week. But our hosts gave us advice about a parking area near-by that was much much cheaper. Basic grasp of German is a MUST! Hosts only speak German. We didn’t realise this and only speak English so check in was extremely difficult and took about 2 hours. Parking - on street parking only available with parking tickets from 9-7. The max ticket you can buy is two hours. Cost for the day is €21. There are park garages for your car but these are more expensive. Only accept payment in cash. Building constantly smells of smoke as residents smoke in the corridors. Apartment does not smell however. The hosts know only German. Since English or any other second language knowledge was quite inadequate, it was extremely difficult to negotiate with them. 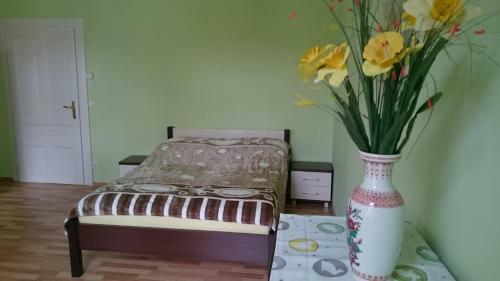 Very well equipped apartment, clean and comfortable. Very good contact with the host (polish speaking too). Close to the city center. good public transport. I truly recommend. Rather hard to get to downtown, we don't use public transportation. 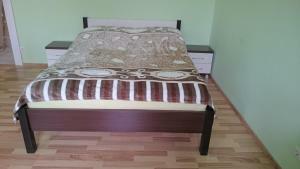 The bed are really good and the appartement is great The owners are so kind and helpful is was very nice to have them. They help us to find a parking place and bring us to the castle even if we had a tram ticket.